We are proud to announce Spring Half Term Optimal Oracy Project at SASF Primary School Off By Heart Poetry Competition! Oracy Project – Poetry As part of our continuing commitment to improving our children’s oracy (public speaking and verbal communication), we are excited to announce that this half term’s Optimum Oracy home learning will be focused on poetry. For half-term home learning, your child is required to learn a poem by heart to perform in class during the first week back after half term. Each child will be scored by their classmates against a set of skills/criteria and the winner will go through to the Grand Final assembly. This half term we are also excited to announce the new ‘Wild Card’ rule, where children who have shown an excellent amount of progress or effort will also go into the final. Please ensure your child learns their poem over half term. It is important that they practise in front of the mirror and family members/friends to perfect their performance. We suggest a poem that is a manageable length and one that your child feels a connection with and enjoys. We will be looking for clarity, expression, volume and body language. Your child should learn a famous poem and they are not required to write their own. 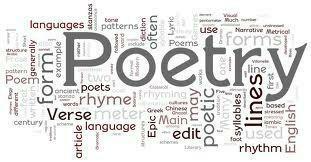 The school library is full of poetry books and there are a number available from Willesden Library and online too.